These are National Nonwovens Co. 100% wool felt colors. This felt is thicker, a little more porous, and not as soft as our other 100% wool craft weight felt. A heavier craft weight felt: approximately 1/10", or 2.5mm thick. 9 oz per linear yard weight (36x36). Free of any harmful or toxic chemicals. Small pieces of the 100% wool felts on this page, on a 4" X 5" card for color matching. 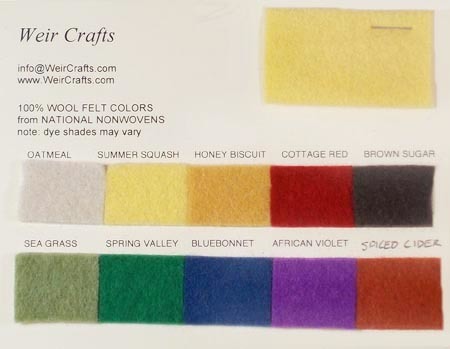 All 10 colors of National Nonwovens 100% Wool Craft Felt. 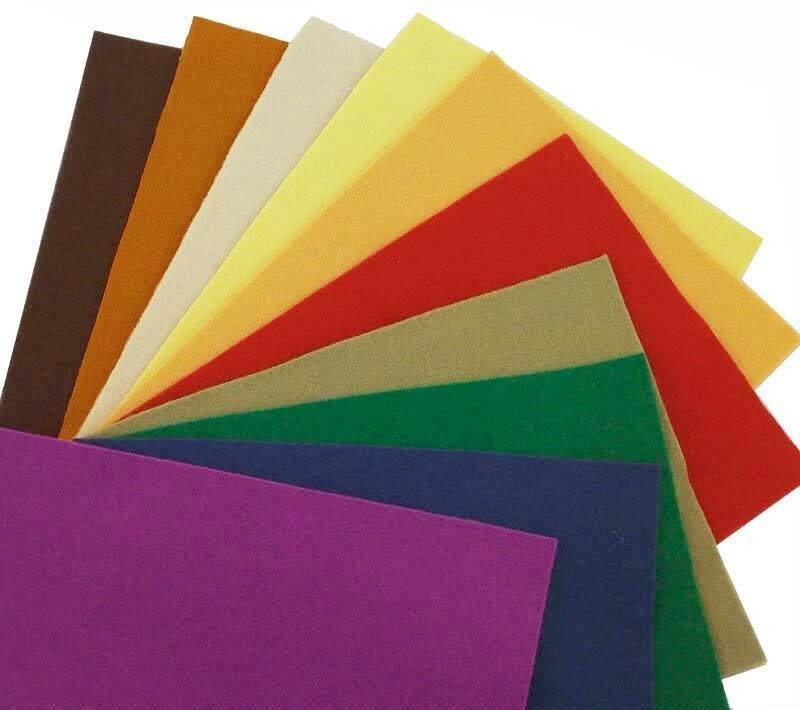 Select 8"x12" or 18"x18" sheets. A heavier craft weight felt: approximately 1/10", or 2.5mm thick. 9 oz per linear yard weight.